Freestyle and street football are often incorrectly thrown together in the same ‘alt-soccer’ category for those not familiar with the sports. But the comparison is like mixing up apples and fruit roll-ups—they might both be sweet, but the two are pretty different. They do share some roots to traditional soccer, but these branches of the beautiful game are distinct genres, each with their own unique flair and communities. In fact, if you committed the mortal sin of conflating the two in front of either freestylers or street footballers, you would probably meet with strong (and possibly angry) opposition. 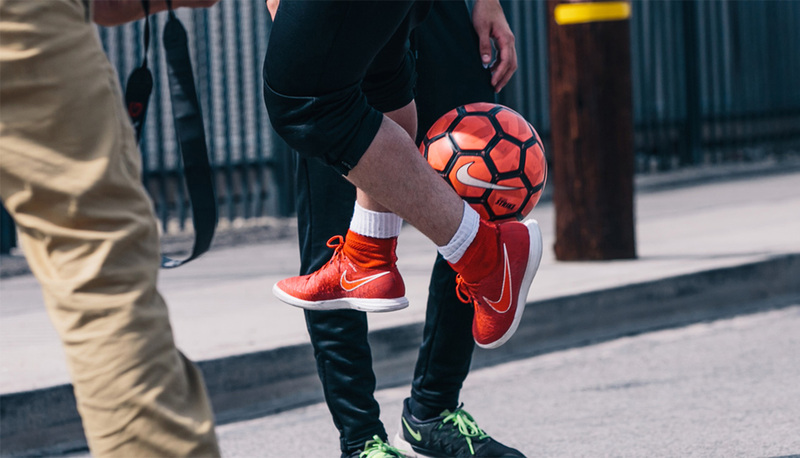 Street Football: To break it down simplistically, street football is comprised of skilled ground movers who cut their teeth in small-sided competitions often on urban, makeshift fields. 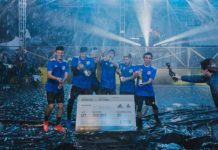 There are different forms of the game, including the more formalized version of futsal, and the specialized panna competitions that are typically 1v1 nutmeg battles. 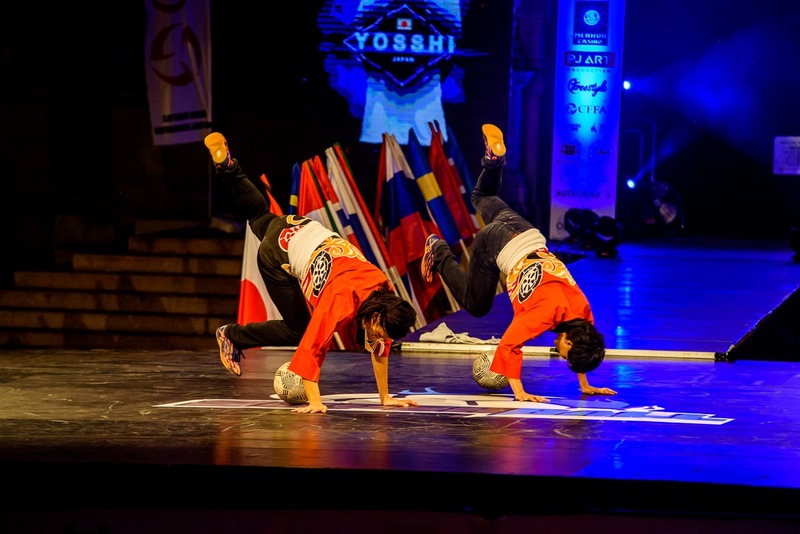 Freestyle: Freestyle is the practice of tricks performed by an individual with a soccer ball (usually an OMB), that incorporates all parts of the body and includes moves likes stalls, around-the-worlds, catches, and acrobatic flips that can be put together in combos. The sport is a quickly growing one that calls for both technical prowess and artistry. Major freestyle competitions employ heads-up knockout battles, and some also include doubles routines and individual showcases for prepped combos. 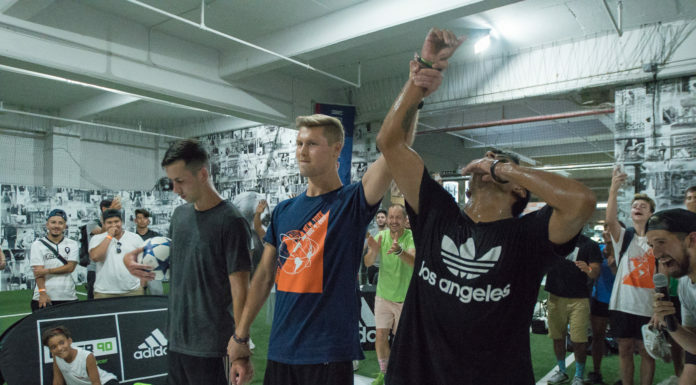 Given the demanding skill set in both genres, most high-level freestylers aren’t nearly as capable in street ball and ground moves, and most street footballers couldn’t come close to the level of a professional freestyler. Which is why those remarkable few who can compete in both freestyle and street football are rare and all the more impressive. We put together a list of today’s top crossover athletes who both possess ridiculous freestyle skills and showcase brilliance on the street. We’ve got to give credit where credit is due. These two pioneers brought the styles of freestyle and street ball to the mainstream, and they continue to evolve with the times, developing the sports and bringing it to every street corner of the globe. You know you’re going down in the history books when you have a staple trick named after you. The Touzani ATW is used by both elite freestylers and up-and-comers alike. 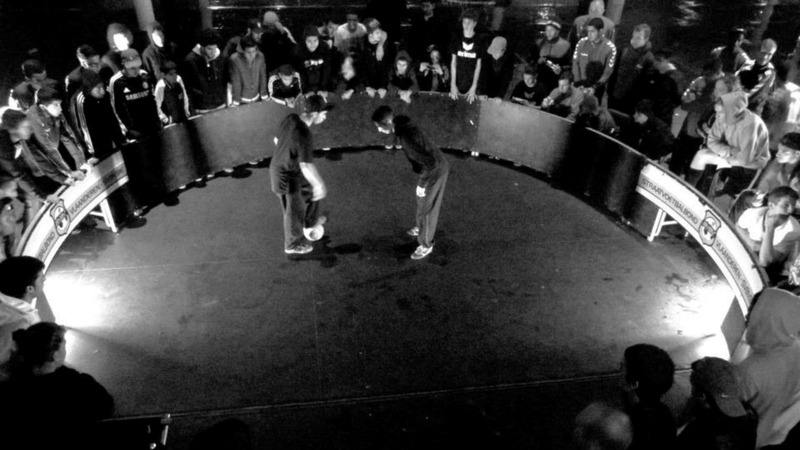 Touzani is recognized as an originator of the sport whose early videos were among the first inspirations for an entire generation of freestylers. And the man is no one-trick pony. 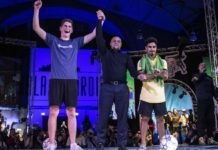 He has become one of the most respected panna players in the world, and he can count the likes of Cristiano Ronaldo, Thierry Henry, and Neymar Jr. among his followers. Just check out the above clip where he absolutely destroys Borussia Dortmund’s Aubameyang in jeans (!!!). From Touzani came trailblazer and sultan of style Séan Garnier, who took over the mantle and went on to earn legendary status in his own right. With his signature braids and hat, Séan led the boom of video tutorials and online branding, and garnered an impressive following with his electric performances and breadth of skill. Since winning the first-ever Red Bull Street Style, he created the insanely slick Street Style Society (S3) and remains a street ball and freestyle icon. Séan began his career as a full-field player, and transferred those strong base of skills to the futsal pitch. He has played in the Premier Futsal League in India, rubbed shoulders with the world’s greatest pros, and is a consummate and popular entertainer. There are jack-of-all-trades and there are specialists. But when it comes to crossover talent, Soufiane Bencok is in a class of his own. The Belgian Freestyle Champion not only has killer freestyle skills, but he can and will meg you with the quickness. And you’ll see what his elite peers will openly profess—he is the master. Originally a street baller who was inspired by the likes of Mr. Woo and Ronaldinho to try out freestyle, Kamal Ranchod, aka Kamalio, has developed quite a bag of tricks over the 10-plus years he’s been in the game. In the above video we can see his full arsenal of skills on display, as he interacts with fans in India. Having learned freestyle by watching videos online, the South African fittingly gained popularity with his Kamalio challenge, in which he’d upload a new move and encourage fans to send in moves of their own. A class act and one of the best on both fronts. Hailing from the Netherlands, Nasser El Hajoui / El Jackson is that kind of unique, high-energy athlete with killer instinct and an x-factor presence. He’s competed at the highest level of panna competitions around Europe, and delivers that swag to go with the technique. Take your eye off the ball for one second and Brandon Jay will assassinate you on the spot. Just as easy as he will panna you, the KSKRITA member will dazzle you with his freestyle skills. Representing Mexico’s top echelon of football talent, Jay has quickly become a rising star in the freestyle landscape. Lotar has gone through the crucible of European freestyle and panna competitions and has made quite the name for himself as one of the most stylish performers on the scene. Polish panna champion and winner of the Vodafone European Freestyle Competition, Lotar is a member of the R-Style group of panna and freestyle entertainers, and has won hardware in both the street football and freestyle realms. A professional futsaler with ground moves for days, Leamssi (née Ismael Azzahafi) played football in Belgium and France as a youth before progressing to futsal and freestyle. He is also part of Freestyle Akkademy, along with the likes of Soufiane Bencok and Yassine ‘Coyote’ Abderrahim. This 20-year-old baller is known and respected by those who know a thing or two about street ball and freestyle. Operating out of Berlin, Can Yanar has competed in the exclusive Copenhagen Panna House Invitationals. Don’t be fooled by the mad chill of champion panna specialist Ilyas “Toubz” Touba—he will destroy you on the pitch … if he can manage to show up for the finals! Touba boasts a serious resume of accomplishments, including winning European, Belgian, and Mexican panna championships, and being a finalist in the Red Bull Street Style Belgium competition. A man who gives and shows respect with his style and technique, Touba is already a top baller and freestyler at the age of 19. A trainer by profession, Isaiah ‘Akka’ Escobedo is a staple on the panna and freestyle circuit. Hailing from Portland, Oregon, the “Panna Beast” 2v2 champion and 2016 American 1v1 Panna title holder is also a member of the SISM family and a force as baller, freestyler, and coach. Oh to be young, gifted, and an assassin with the feints. Thomas Stemgee is part of the cohort of Belgian wunderkinds and has been competing up there with the greats on the street and in the arena. Watch above as he tears it up trick by trick against one of the best. Cyprian Mikita aka Cypro is another high-level street baller and freestyler active in the European scene. His well-rounded skills are on point and getting better every day. If you ever feel accomplished about yourself, you should probably stay away from Lisa Zimouche, aka Lisa Freestyle. At just 13 years old she made a Red Bull Street Style Final and two years later was named the S3 World Female Panna Champion. Now a veteran at the ripe old age of 17, Zimouche continues to dazzle us with not only her freestyle tricks, but her panna ground moves as well. Pro footballer and creator of IT10 Soccer, Mo Ali showcases his superb ball skills in videos like the one above, but what some might not know about the Iranian-Canadian is that he has some serious freestyle skills as well. Last but certainly not least is one of the OG’s in the next-gen vanguard of multi-talented footballers. Yassine ‘Coyote’ Aberrahim, the Italian-born-and-bred baller and globetrotter boasts a strong repertoire in freestyle and street ball. He was runner-up in the European Championship Panna Knock Out, winner of the Red Bull Street Match in Italy, a judge at the American Panna and Freestyle Tournament, and currently serves as a technical director with SISM.